Preheat oven to 180˚C. Cream together 125 ml softened butter with 1 cup sugar (regular sugar is fine but caster sugar gives a very nice texture). 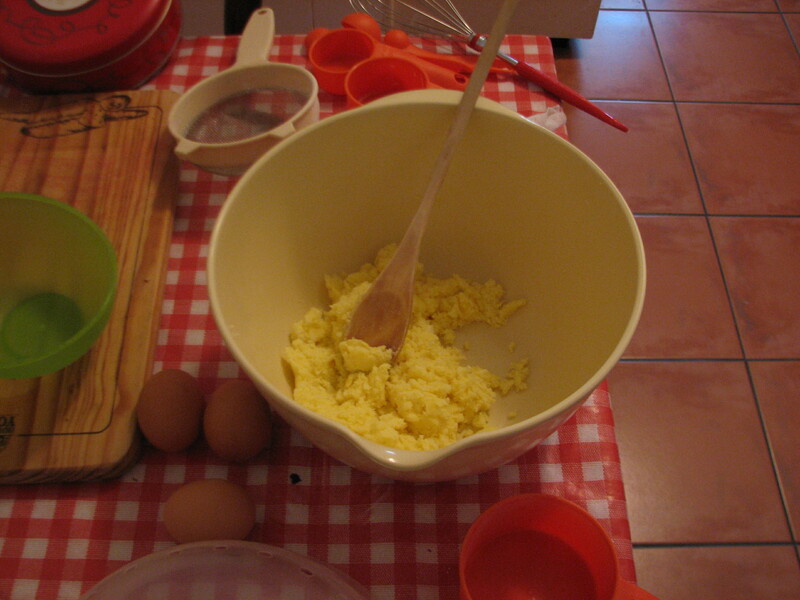 Add 1 egg and 2 egg yolks (you don’t need to keep the egg whites for the recipe, you only use the extra yolks) and 7.5 ml vanilla essence. 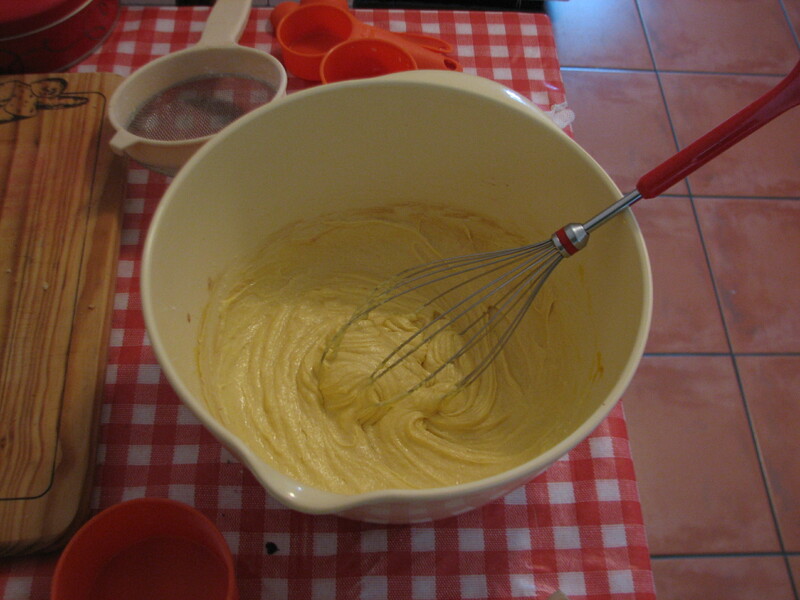 Whisk together until light and fluffy. 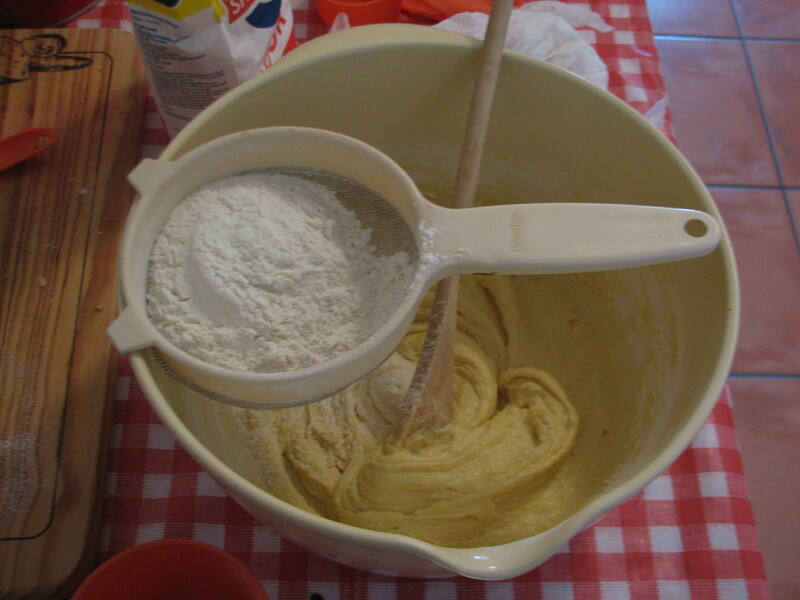 Sift in 1 1/2 cups flour, 7.5 ml baking powder and 2.5 ml salt. Mix well. Add 125 ml buttermilk and mix together well. 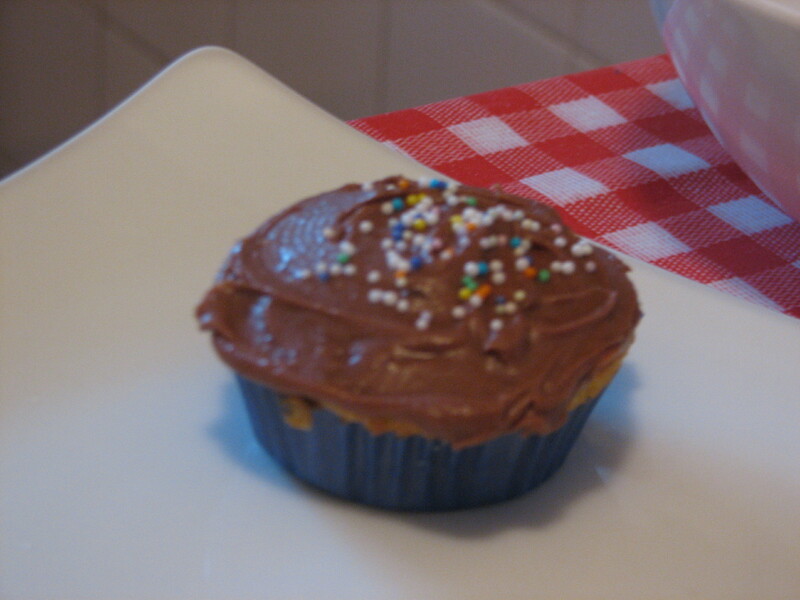 Line a cupcake tin with liners. Fill each liner about 2/3’s with cupcake mix. Bake for 20-25 minutes. 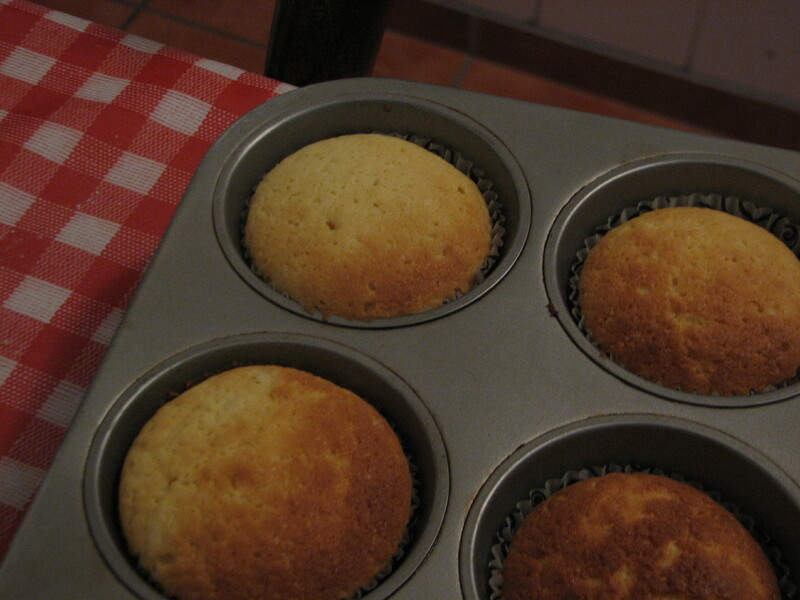 Let cool slightly in the pan before removing cupcakes from the pan. Place on a cooling rack until completely cooled. Place 200 – 235 g of dark or semi-sweet chocolate in a heat-resistant bowl. Break into small pieces (smaller pieces melt better). I normally use Lindt 70%, but you can use 50% or you can add some milk chocolate if you prefer it sweeter, or even the big Bournville dark chocolate slabs work well. The better quality chocolate you use, the better your ganache will turn out though. Heat up 250 ml cream in a saucepan and bring to a boil. Pour the boiling cream over the chocolate. Let it stand for 1 minute and then start stirring with a rubber spatula, beginning from the centre and working your way out until all the chocolate and cream has combined and has a smooth texture. Let it cool to room temperature and if you desire a slightly firmer consistency, place in the fridge for 2 hours or so. 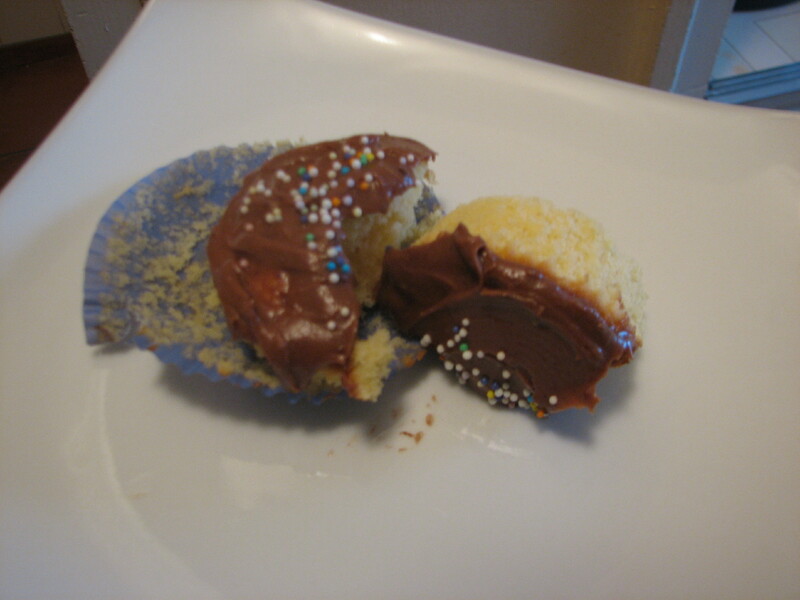 Then cover the cupcakes in a generous layer of ganache and enjoy! This entry was posted in Délicieux.